CLHC wants to hear from you! 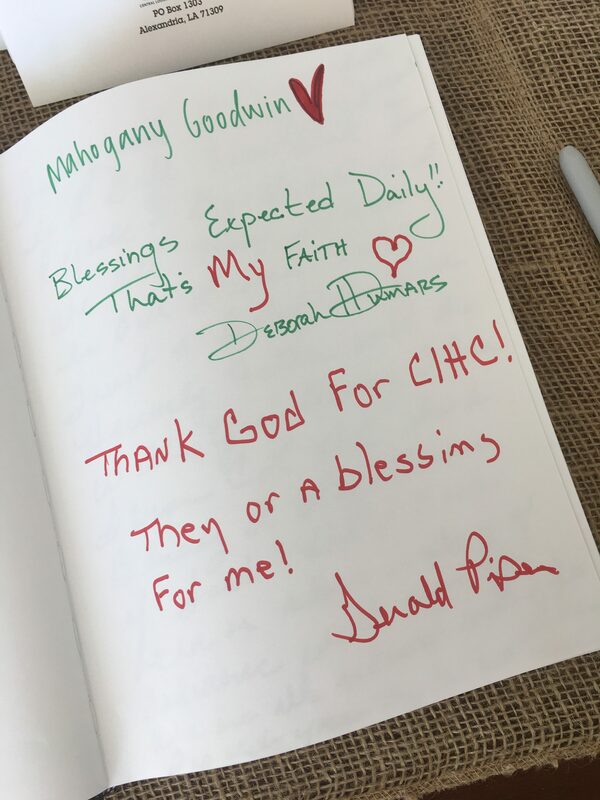 We’ve placed a “guestbook” in our main lobby for our supporters and participants to write their thoughts about CLHC. We’ve enjoyed hearing all of your kind words and look forward to filling the pages with more!